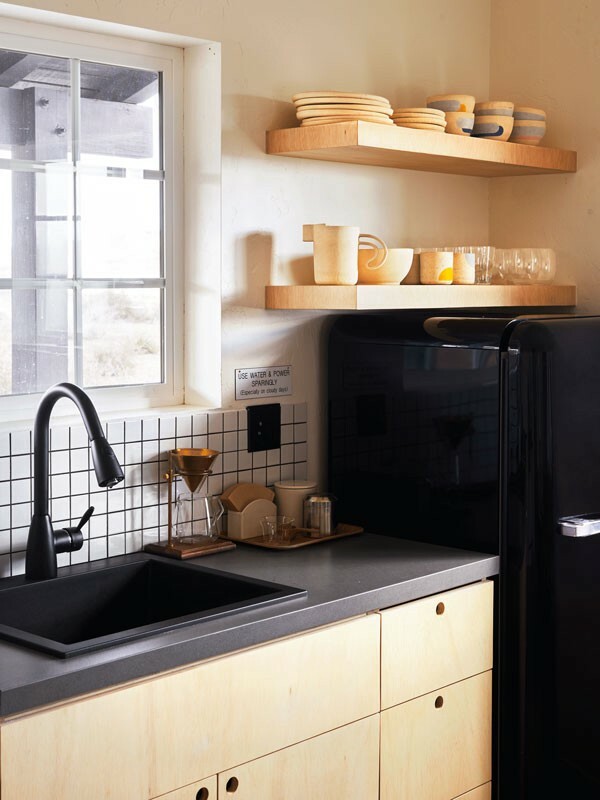 At some design-centric Airbnbs, you can buy practically everything but the kitchen sink (and sometimes even that). 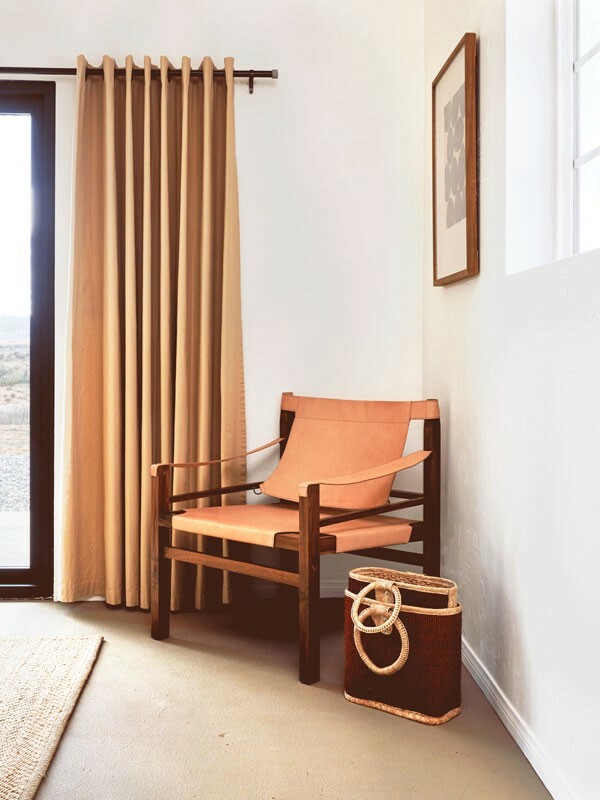 For the den of his Montauk beach house, host Robert McKinley chose “a rich, enveloping color” Cassis by Domingue: “I like having one room in the house that’s a cocoon.” Photograph by Nicole Franzen. It used to be that you’d go on a trip and come back with a souvenir or two. Now, some travelers are also bringing home their favorite furniture from their Airbnb. Tapping into the desire for good design — and, amid our ever-growing online consumerism, the delight of trying out a couch, a mattress, or a rug before buying it — certain hosts have reimagined their overnight accommodations as livable showrooms, filling them with fresh decorating ideas and pieces their guests can purchase. 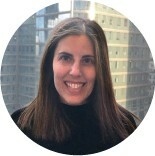 Here are three who are pioneering this “curated” concept. The couple went with a clean, “summertime” palette: sand, white, blues, and greens, and “nothing too glossy or industrial-feeling,” says McKinley. An airy paper lantern ($150) offsets the bulkier pieces in the room. 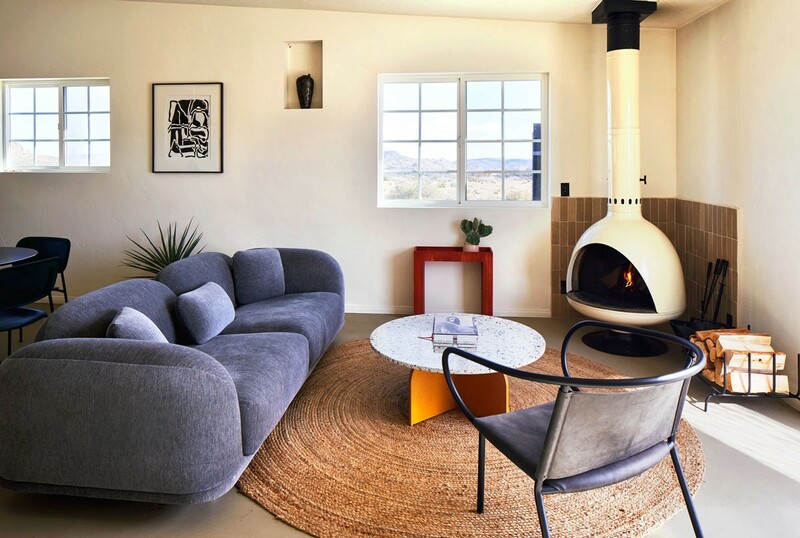 The Tuareg mat ($1,500) connects the different wood tones of the coffee table and the vintage sofa. McKinley selected a no-fuss, modern platform bed ($650) for a Zen-like setting in the bedroom. 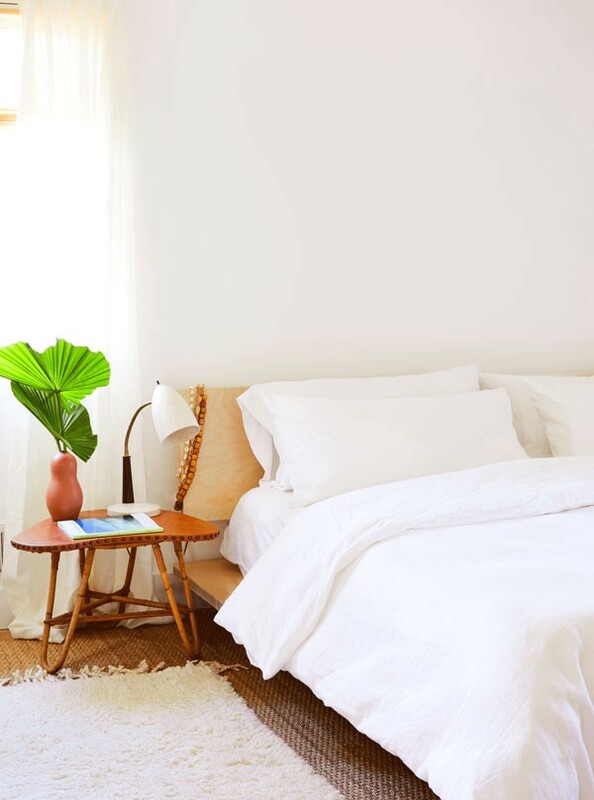 Heavy-duty washed linens ($450, king duvet set) soften the bed’s clean lines. 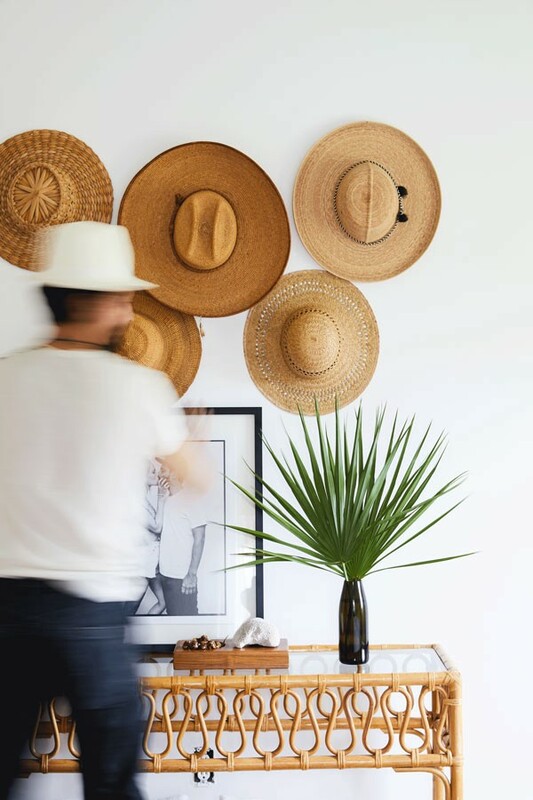 To make the entryway inviting, the pair hung hats from their travels (Africa, Italy, the Maldives) over a rattan console. 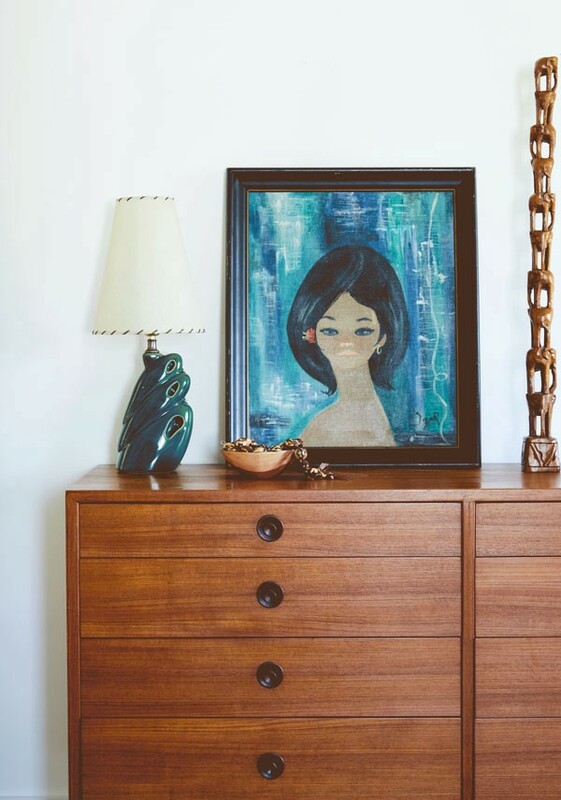 The glossy lamp and vibrant painting were both flea-market finds. 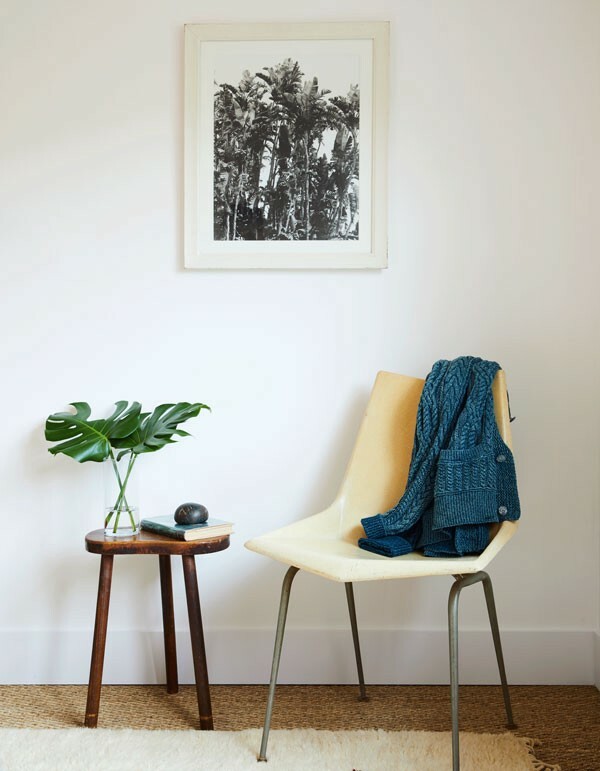 Ideal formula to fill out a blank spot on a bedroom wall: sculptural seat plus small side table, with framed print above. An ornately patterned vintage rug ($2,200) anchors the room. “I like Persian rugs because the dyes were made by hand,” Nathan says. A streamlined leather couch from the Netherlands keeps the space open and airy. One of Will Nathan’s revelations as cofounder of the online decorating service Homepolish was the feverish demand for secondhand pieces. “The appetite for them among our clients and designers was massive, but there aren’t great ways to find them,” he says. 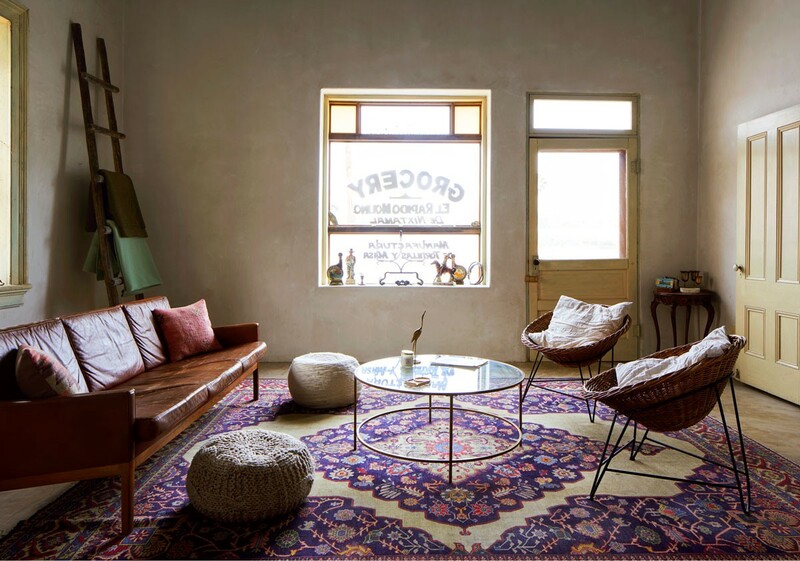 “It became important to me to give people a way to experience vintage items and take them home.” Months of road tripping, antiques shopping, and soul-searching led the New Yorker to Tucson, where he found a 140-year-old former ­tortilla factory that was renovated from the dirt floors up. “It was a perfect shell,” Nathan says. The wooden chair ($88) is from an antiques shop in town. 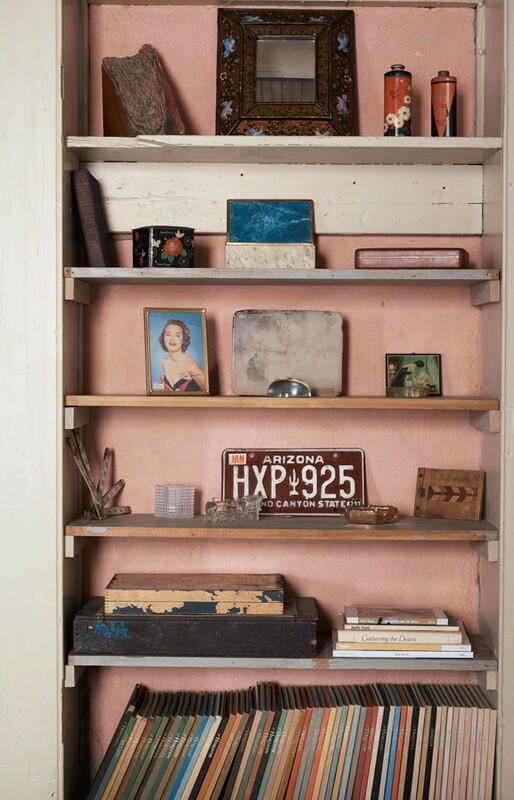 If you’re new to antiques, start small by filling a bookshelf. 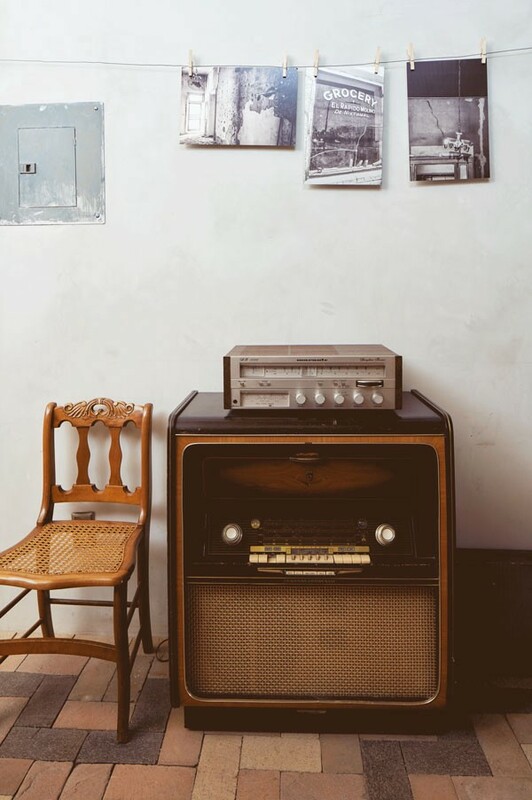 “I like collecting scrapbooks and ephemera,” says Nathan. 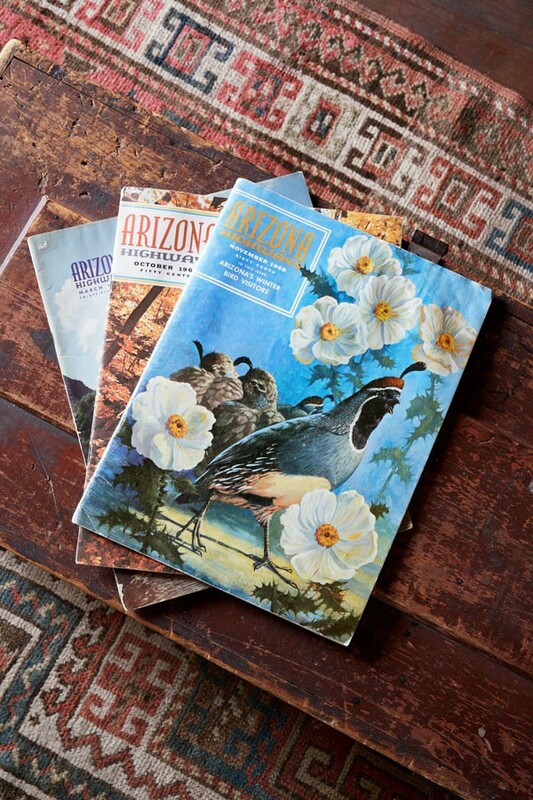 Back issues of Arizona Highways ($15 each) are a top seller, says Nathan. 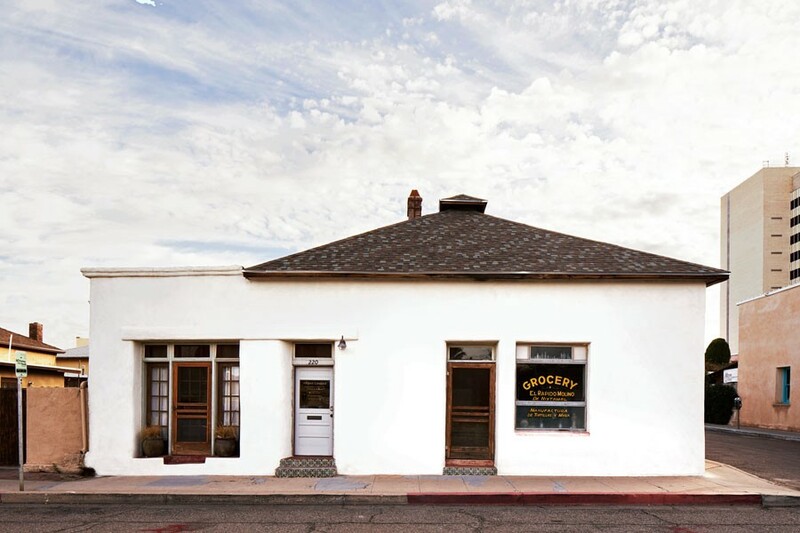 “Ansel Adams was the photographer.” The restored building’s grocery sign was repainted just the way it looked in 1933, when the residence was converted to a tortilla and tamale factory. 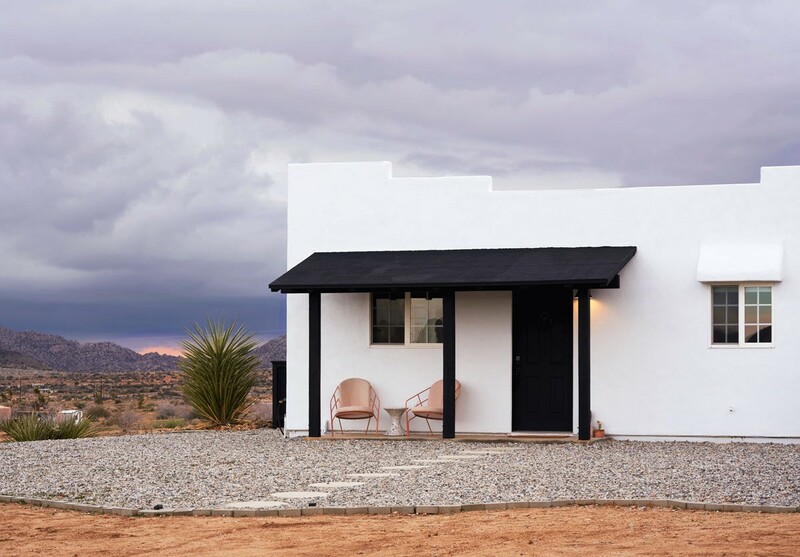 When self-described “design snobs” Carlos Naude and Whitney Brown decided to buy an off-the-grid weekend home, renovate it, and Airbnb it, decor was at the top of their minds — but Naude’s marketing background came into play, too. “We wanted it to be unique, and we thought about how when you travel, you see furniture you love or you sleep in an amazing bed, but you never find out where to buy these things,” he says. That logic spurred the two to pool their talents (design for her, branding for him) to turn their property into a ­semi-sponsored dream home. Ceramic dishes by Neenineen (from $24 each) sit on shelves above a sleek sink-and-faucet combo (about $600). 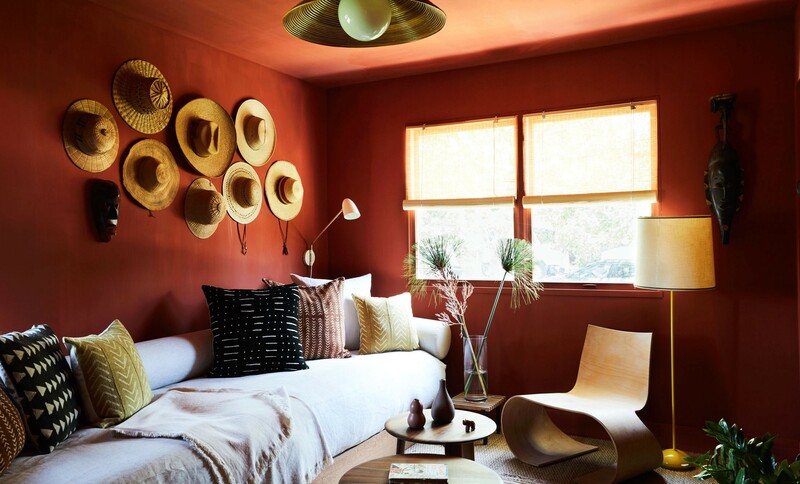 A luxe leather chair ($1,500) and a magazine basket from Mexico create a sophisticated seating area.